Today we stopped in briefly to Allan Gardens to get a taste of the “warmth of summer” as we are expecting another round of “the cold of winter” overnight. 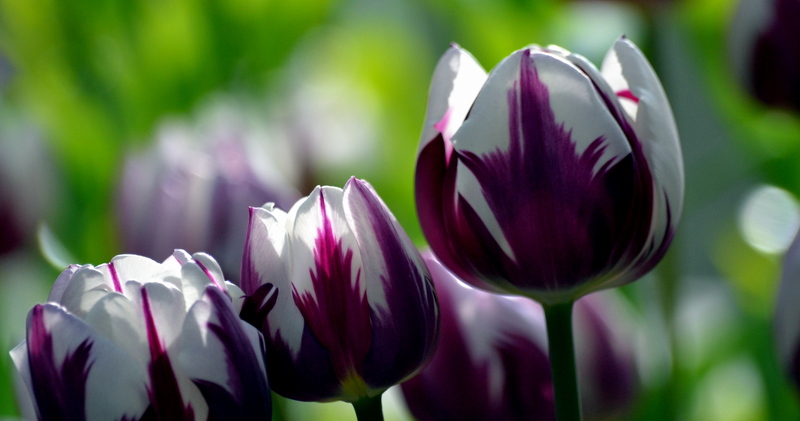 There really is something wonderful about tulips – especially purple ones! Thanks – I found them to be that way also! Beautiful photo! I love tulips. I do too…usually I don’t see them until much later in the year…so glad they were blooming at this indoor garden! I’m so glad to be able spur you on – it’s only fair after all your inspiring blogs! I’m a big fan of tulips as well….thanks!